Ginette McDonald grew up Irish-Catholic in Wellington, the third child of seven. Her house had holes in the bathroom floor, but also a ballroom where her doctor father sometimes played violin. She fell in love with television as a child, after first spying a TV in the radio store of sound engineer Stan Dallas. Aged 15, already caught by the acting bug, she began acting professionally on stage and radio. Future television sensation Lynn of Tawa — the character she is most associated with — was born soon after. Her father's medical practice was shared by Doctor Diana Mason, wife of playwright Bruce Mason. "He really encouraged me," McDonald told newspaper The Wellingtonian. Keen to see more Kiwi accents on stage, Mason suggested she contribute to revue show Knickers. At 16 she came up with Lynn of Tawa, inspired by callers on talkback radio who "had flat, monotonous voices and were always asking things like how to get snot stains out of a pink twin-set". Together Mason, McDonald and playwright Roger Hall cooked up successful sketches for the gormless character from an outer Wellington suburb. McDonald made her screen debut in 1971 alongside Bruno Lawrence, in an episode of landmark Kiwi drama show Pukemanu. She played a runaway private schoolgirl who falls in with a biker gang. Soon after, she exited for England on a path to certain fame, blissfully unaware that competition among young actresses in London was somewhat fiercer than hometown Wellington. She won an early part as a maid in a BBC adaptation of Katherine Mansfield story At the Bay, in a series starring Vanessa Redgrave as Mansfield. McDonald found parts — "I played Yorkshire miners' daughters and Cockney girls" — just not enough important ones. After seven call-backs she lost a prize role in nursing series Angels at the last moment, after the producers discovered she was actually from the antipodes. Veteran director Ken Hannam, impressed by her work on stage, gave her a lead role in TV play Sweeping Plains. Wearied by five years in London, and fearing she might live out her acting days "in a tiny flat in Finchley Road", McDonald returned to New Zealand in 1976, where she spied a new soap opera called Close to Home, and was appalled. But when Close to Home producer and mentor Ross Jennings offered her a part as "a 38-year-old nymphomaniac housewife from Te Puke", she said yes, and did not regret it. Lynn of Tawa was reborn when McDonald was asked at short notice to contribute to a celebrity roast for Fair Go presenter Judith Fyfe. When TVNZ entertainment head Malcolm Kemp saw the results, he asked if the character might do some spots on variety shows. McDonald's brother Michael got busy writing scripts, even though Tawa was an unknown spot on his map. Lynn proved so successful that a one-off special followed, then her own series. There were also appearances at a Royal Variety Concert (she told the Queen "God Bless You. We all love you, eh") and at a TV anniversary special, where McDonald was wheelchaired in while heavily pregnant. Lynn would become both a calling card, and a millstone around the versatile McDonald's neck, thanks to constant demands for her return, and those who decades later continued to confuse actor and her alter ego. Meanwhile McDonald was winning awards for other roles — a Feltex Award for playing a pragmatic woman married to a compulsive worrier in 1979's It's Your Child Norman Allenby; another for her Pioneer Women portrait of Hera Ngoungou, a Pākehā brought up Māori. McDonald's time in London had spawned the desire to get behind the cameras. With the support of Ross Jennings, she won a place on a TVNZ training course for producers and directors. She debuted as a producer and director on the last series of Gliding On (she had originally played Beryl in Glide Time, TV's first adaptation of the Roger Hall play). She went on to direct for Close to Home, Open House and Country GP — McDonald is especially proud of helming an episode of the latter, in which Simon O'Connor's character grows increasingly paranoid. 1986 kidult series The Fire-Raiser marked the start of "a beautiful professional partnership" between McDonald, as producer, and director Peter Sharp. McDonald calls him "unquestionably one of the best drama directors we have ever had for television. Together we brought out each others strengths." Both Sharp and McDonald had the idea of giving Fire-Raiser's arsonist main role to ballet dancer Jon Trimmer. The Fire-Raiser won awards in Australia and America, plus GOFTAs back home for director, best drama, best children's programme, and Maurice Gee's script. McDonald then "poured her energy and passion" into the "ambitious" Peppermint Twist, a colourful, part-musical portrait of 60s teenagers. Despite performing solidly in its teen target audience, the show was axed long before its projected 50 episodes had been produced. McDonald's hopes of maturing into "a raddled, chain-smoking 57-year-old senior drama producer in a structured television company" faced setbacks after Television New Zealand closed its in-house drama department. McDonald was working with Peter Sharp on Maurice Gee kidult series The Champion at the time. McDonald and Sharp travelled to Hollywood to audition actors for the show's central role, a black WW2 serviceman stranded down under. The pair narrowly turned down then-unknown actor Cuba Gooding Jr for the part. Lynn of Tawa was reborn in 90s programmes In Search of the Great New Zealand Male and Visual Symphonies. The decade saw McDonald continuing to act, produce, and present occasional one-off documentaries. She produced TV adaptations of Riwia Brown pregnancy play Nga Wahine, and Robert Lord's decade-spanning Joyful and Triumphant. 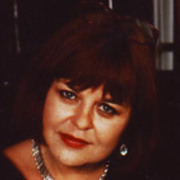 McDonald also co-starred opposite Rawiri Paratene in TV gambling tale Dead Certs, and produced Face Value, a trilogy of solo pieces; she also took centre stage in one of them, Her New Life, a finalist at both the Banff and New York TV Festivals. There was also an extended run as presenter of gardening show Ground Force. In 2007 McDonald was made an ONZM (Officer of the Order of New Zealand) for services to entertainment. Soon after she returned to Downstage Theatre, to star in one woman play My Brilliant Divorce. She continues to appear on screen, including in tele-movie Rage, based on the 1981 tour. Her daughter Kate McGill also has the acting bug.